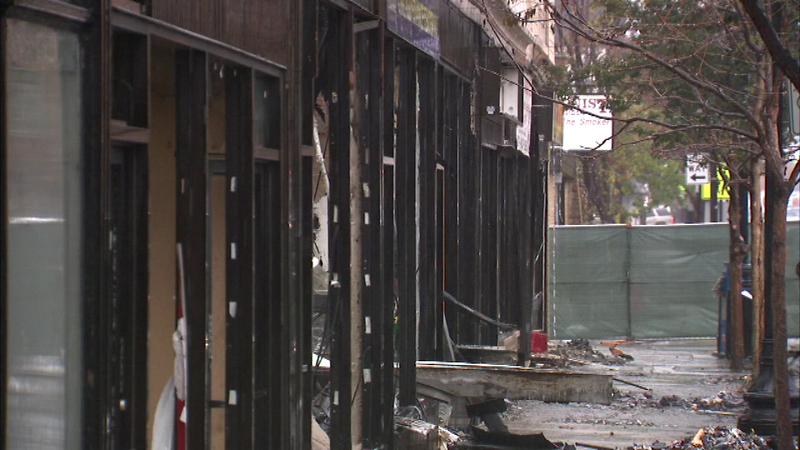 The fire that destroyed a Chicago dry cleaners Friday is still causing problems for firefighters Saturday. CHICAGO (WLS) -- The fire that destroyed a Chicago dry cleaners Friday is still causing problems for firefighters Saturday. Crews are back on the scene near Irving Park Road and North Elston Avenue in the city's Albany Park neighborhood after several hot spots flared up as investigators were working to figure out what started the fire. The fire destroyed the dry cleaners and several neighboring businesses.